My teacher tip for you today is hopefully going to give you a few more ways to use something simple in your classroom and solve a problem you didn't know you had. 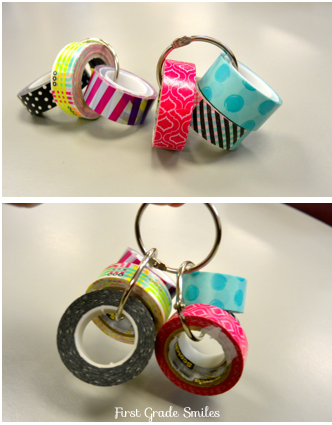 Over the years I have found that I kinda LOVE binder rings (among other random classroom supplies). 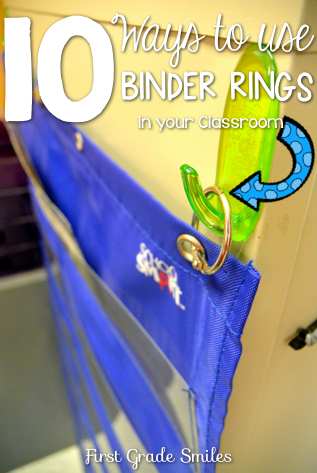 I've found so many different uses for binder rings in my classroom that they are now a MUST HAVE item for me. 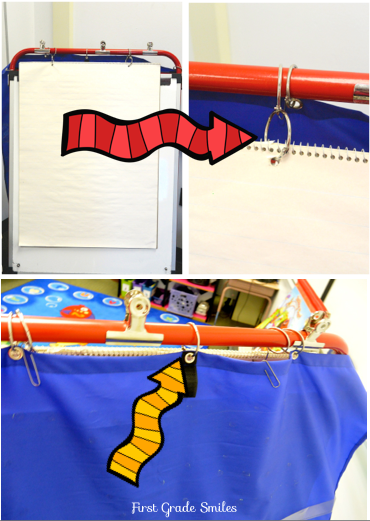 So here are 10 different ways you can use them in your classroom. 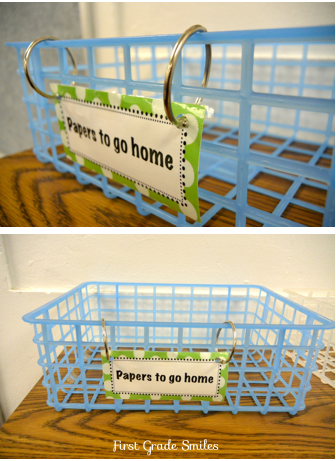 Some you may already do, but maybe you will find another way to use them. We'll start out simple, and a little obvious. 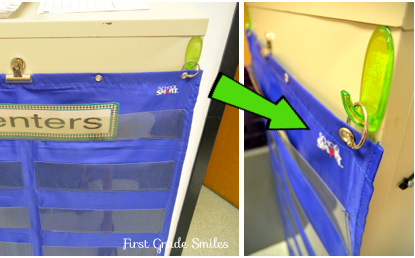 Use it to hang your recess whistle on a lanyard or a quick and easy (no pinching finger) way to add keys. Those other ones can cause serious injury! When I moved into a different school in my district this year I was left with a lot of old items that no one else had wanted. One of those things was my easel. I really wanted an easel so I would take what I could get; however, this easel had a white board, but did not have a place to hold chart paper. I also wasn't given a pocket chart stand, so I had to make do with what I had. Here is how I fixed that problem. 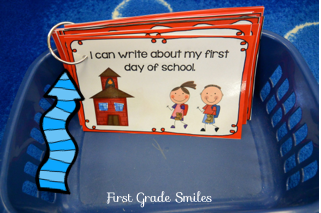 Thanks so much for stopping by and checking out my teacher tip. If you enjoyed these ideas, please consider following my blog on Bloglovin' over on the side or following me on Facebook or Instagram. Ok, tips 9 and 10 will change my life! Thanks so much for sharing. Pinning! 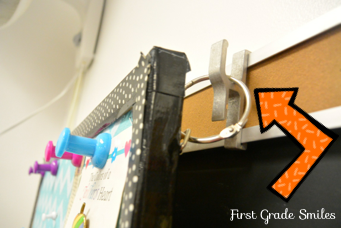 I love binder clips too. Never thought of using them to hang stuffed animals to the wall! Love it! I am LOVING this post! I love me some rings. Now I have more reasons to use/buy rings. Time to get some more! thank you for a great post! Love practical posts! Thanks for sharing!! !